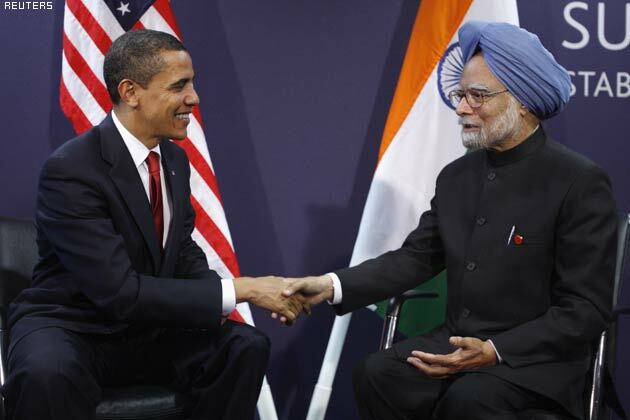 Geopolitical Shift: Is India Moving Closer to the US? Last week on Wednesday, External affairs minister of India, S.M. Krishna met US Secretary of State Hillary Clinton for their third annual strategic dialogue in Washington. With the changing geopolitical orientation in South Asia, US is also shifting sides. US is now at many differences with Pakistan, its once major non NATO Ally and ex CENTO and SEATO. It was US which supported Pakistan against India in 1971 war of liberation of Bangladesh and even sent its navy to check India. Today US finds its interests in India which is slightly alarming for the greater Eurasian region. Discussion for strategy for Pakistan, Afghanistan and counter terrorism was brought in the domain, however the main agenda was the economic and military cooperation. India may not be that close to US strategically but a large part of its economy is dependent on US like most of the open economy in the world. India’s one of the largest growing industry of Information Technology earns most of its revenue from US based companies. Not talking about call centres alone, but real engineers who have been providing solutions, suggestions and developing cutting edge technology for these companies. Indian companies have been developing softwares for almost every industry whether it is telecom, healthcare, aviation, transport or finance, in fact some Indian companies have also been developing software for charity. With the shifting focus of US foreign policy from Middle East to Asia Pacific, US is hoping that presence of India on their side can benefit US to a greater extent. Except Pakistan, India maintains good relations with almost every country on the land as well as in the Indian Ocean region. Thus gaining India’s support in their activities and somehow shifting the work aimed at containing China on India’s shoulders would be the top priority of the American diplomacy. India and US began to come closer since 9/11 attack on New York’s World Trade Centre. It was the first time when America accepted that India has been the victim of cross border terrorism for very long time. First time extremists in the Afghanistan and Pakistan were considered as global problem. As soon as the US and Northern alliance forces regained control over Afghanistan pushing Taliban regime out, Indian diplomats started rebuilding work in Afghanistan donating and investing billions of dollars, appreciated by the US. However, it was George W. Bush who entered into a great partnership with India by signing Indo US nuclear deal with India, that allowed India to openly carry on its civilian as well as military nuclear program without signing the NPT. George W Bush arrived India during his last days of Presidency saying he came to India as a friend rather than the President of USA. The partnership also witnessed a five-fold increase in bilateral trade (from $18 bln in 2001 to $100 bln expected this year) in the last decade. India and US also signed various military and arm procurement contracts in last 5 years. Recently US has expressed its willingness to forge better and stronger ties with India, making India its full fledged ally, however most of the US ally becomes mere a satellite of US which accepts pentagon policies and respects their interests. In this case US knows that India will not be willing to lose its independence in making policies and is not so small country that can be controlled easily. Indian Minister of External affairs just after concluding their trip to US headed towards Cuba for important discussions, Cuba is America’s old geopolitical and ideological rival. This shows that India is with US, but only till its interests are met, otherwise India is free to make its own policy and relations with other countries, whether they fall in US pole or not. Similarly, after signing the agreement on cooperation in the civil nuclear energy sector, the US expected that the Indian market would open up for American companies. But India’s nuclear liability law which allows suing suppliers of technology in case of an accident prevented US companies from eagerly stepping into the game. When the US saw that it was losing the competition, it resorted to well-tested tactics. The US-funded NGOs in southern Indian Tamil Nadu state waged protests that have until now prevented the commencement of a Russian-built Kudankulam nuclear power plant which was ready to start operations by the end of 2011, writes Boris Volkhonsky, senior research fellow, Russian Institute for Strategic Studies for Voice of Russia. Also, despite a significant growth in defense trade, India last year rejected both Boeing and Lockheed Martin in their bid for supplying 126 multi-role combat aircraft for Indian Air Force, making the choice solely based on its national interests. He further mentions that despite all the pressure to open markets for American retailers like Wal-Mart, India is keen on preserving the social balance within the country, because the advent of gross foreign retailers will inevitably lead to the ruin of hundreds of thousands of small businesses in the retail sphere. India believes in checking China’s growth and now that China and Russia are very close it is America and Japan which can help India do that, however in the current scenario geopolitical orientation is very confusing. India understands that growing together with China is better for both India and China than to grow being rivals. If India make a move to counter China with the help of foreign hand, it will only create tensed environment between the two countries and the long border which they share along the Himalayas. This can give a bad direction to the billion dollar worth trade between the two countries which both India and China do not want to risk. Also, in the worst case scenario, if India and China ever get into a conflict, US will at the max provide India weapons and assistant, and will remain mere a spectator leaving India in the tough situation to suffer. The other area where US and India think different is Iran, although due US pressure India has reduced oil imports from Iran by 15%. however, India claims that it reduced the imports seeing the worsening economic conditions in the country. India considers Iran as a great partner in rebuilding Afghanistan. India had recently constructed road from Afghanistan to Iran’s chah bahar port, to reduce Afghanistan’s dependency on Pakistan for sea trade. India considers its relations with Iran special and to continue buying Iranian oil, India declared that it will make payments in gold and Indian Rupees instead of US Dollars [Read more: Iranian Oil Import: What US Sanction on India Could Mean for US]. All this shows that India is doing real business with US, it is with US till it is beneficial for both, India will not agree to do something that is in sole interest of US. Moreover, India enjoys the comfort of being the regional power as well as the representative of the neutral world and being compared with the rising powers like Russia and China. India has still kept open all the doors of any cooperation with its all weather trusted and proven friend Russia. The Race Among Chinese Dragon and Indian Elephant: A Race Between Equals?